I had the distinct pleasure of reading WebGL: Up and Running from O’Reilly. 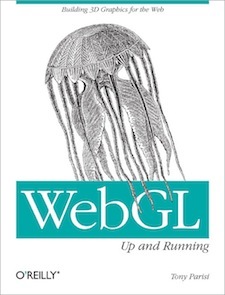 I’ll be honest and say a lot of the mathematics was a bit hard to grok, but I never truly understood how powerful WebGL was before I read this book. It makes anything Canvas can do look pretty tame. Support is a bit low right now (partially supported around 50%), but its worthwhile to take a look at it now. At minimum, use it as a way to warm up those old Math-related muscles in your brain. I’d love to know if any of my readers out there are using WebGL yet. Anyone?